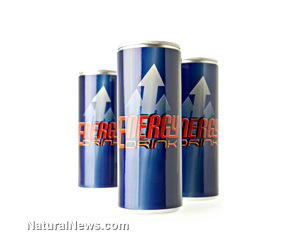 (NaturalNews) A new study has found that energy drinks may be a sort of gateway drug to smoking, alcohol and drug use for teens. The study, which was published in the January/February issue of the Journal of Addiction Medicine, found that nearly one-third of American teenagers drink high-caffeine energy drinks, or so-called energy "shots." These same teens also reported higher rates of alcohol, drug or cigarette usage, researchers found. The same things that drive young people to consume energy drinks, like being "sensation-seeking or risk-oriented," may also make them more likely to use other substances as well, according to the new research by Yvonne M. Terry-McElrath, MSA, and her colleagues from the Institute for Social Research, University of Michigan, Ann Arbor. The research team reported analyzing nationally representative data on about 22,000 secondary-school students across the United States. In particular, the team looked at data on students in eighth, tenth and twelfth grades. The students were participants in the University of Michigan's "Monitoring the Future" study, which was funded by the National Institute on Drug Abuse. In responding to questionnaires, some 30 percent of participants reported consuming caffeine-filled energy drinks or shots. In addition, more than 40 percent said they drank soft drinks regularly each day, while just 20 percent said they drank diet soft drinks on a daily basis. The study found that boys were more likely to consume energy drinks and shots that=n girls, and that use was higher for teens without two parents at home, as well as those with parents who were less educated. What surprised the research team the most was that the youngest demographic - the eighth graders - were the most likely to consume energy drinks and shots. Students who used energy drinks/shots were also more likely to report recent use of alcohol, cigarettes, and illicit drugs. Across age groups and with adjustment for other factors, teens who used energy drinks/shots were two or three times more likely to report other types of substance use, compared to those who didn't use energy drinks. Soft drink consumption was also related to substance use. However, the associations were much stronger for energy drinks/shots. Energy drinks and shots tend to contain higher-than-average doses of caffeine. They are routinely marketed as aids to boost energy and alertness, as well as concentration. "Studies in young adults suggest that consumption of energy drinks is associated with increased use of alcohol, marijuana, and tobacco," said the press release. Researchers found that in younger adults, energy drinks have even been linked to behavioral patterns associated with "sensation-seeking or risk orientation" as well. Also, energy drinks are often used together with alcohol, which contribute to masking the intoxicating effects of alcohol. The new study is the first to examine effects of energy drink and shot consumption and how such consumption could be tied to the use of other substances. "The current study indicates that adolescent consumption of energy drinks/shots is widespread and that energy drink users also report heightened risk for substance use," Terry-McElrath and colleagues write, noting that the study did not provide a cause-and-effect finding but rather merely an association between consumption of energy drinks and higher use of alcohol, drugs and tobacco. Nevertheless, the research team says that findings linking energy drinks to substance use in young adults is likely relevant to adolescents as well. "[E]ducation for parents and prevention efforts among adolescents should include education on the masking effects of caffeine in energy drinks on alcohol- and other substance-related impairments, and recognition that some groups (such as high sensation-seeking youth) may be particularly likely to consume energy drinks and to be substance users," the team wrote.